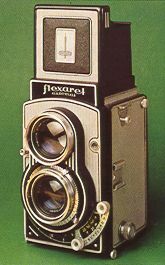 I am not really a collector but I am fascinated by antique and classic cameras, particularly cameras that can still be used for photography. I own a few that I use for making pictures, none of them valuable, but some of them good tools for photography. An excellent book on the subject is Matanle, Ivor. Collecting and Using Classic Cameras. London: Thames and Hudson, 1986. Paperback edition 1992. 224 pages. ISBN 0-500-27656-0. Last updated 7 July 1999.